We get a lot of requests for extensions to Spiti Valley and so have put together a short itinerary that covers the best of everything and can be added to any one of our existing Ladakh based itineraries. Arrive to Manali as per your preferred method and check in to our prearranged hotel. Enjoy the remainder of the day as per your leisure. Overnight stay in Manali hotel. In the morning, check out of the hotel and transfer to Kaza via Rohtang and Kunzum pass. Prepare for a long journey in the car you will reach our prearranged hotel in Kaza in time for dinner and overnight stay. After breakfast, our driver will be waiting to transfer you to enjoy a full day of Spiti Valley sightseeing. Enjoy some of our more ‘offbeat’ destinations including Komic, Langza and Hikkam vilalges and then return to our Kaza based hotel as per your interest. Today you will enjoy a full day further exploring the beautiful scenery of the valley as you make your way to explore the Buddhist monasteries at Tabo and Dhankar. If interested, you can stretch the legs with a 2km walk to Dhankar Lake where you get some great photos of the stunning blue water surrounded by mountains. Return to Kaza for overnight stay. After breakfast you will make your way to the popular Key and Kibber villages which are situated at an elevation of 4166 meters. 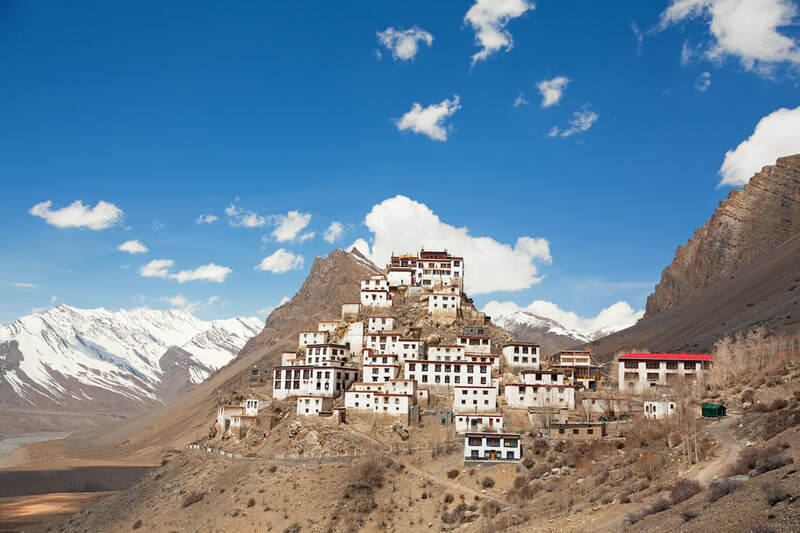 Aside from the stunning landscape, the most important landmark is the famous Key monastery which is positioned on a rugged ridge overlooking the the Spiti River. The monastery is said to be approximately a thousand years old and since its inception, has gone through a series of attacks, invasions and natural calamities - which have all contributed to its rather patchy restoration which which has resulted in its final shape of a fortress. Key is the largest Gompa of Spiti Valley and houses more than 300 lamas inside the complex and is sure to be a highlight of your tour before reaching our camp in Jispa for overinght stay under the stars. 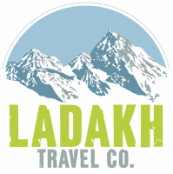 Our driver will collect you from Jispa and transfer you to either Manali or up to Leh for an additional Ladakh based tour.